– Watched A LOT of films, classics and new at International Film Festival Rotterdam – IFFR and Berlinale – Berlin International Film Festival !!! – Got to celebrate with my friend for his award-winning short film: IMFURA-short Film by Karemangingo Ishimwe !!! 1st Rwandan film at Berlinale YAY !!! – Participated in Haïlé Gerima‘s EYE-OPENING Workshop about Storytelling Structure / Reclaiming our Narrative & Decolonizing our Minds !!! – Learned about Panafricanism then, and attended a day-long event about Bridging The Gap today at IFFR (co-hosted by The Nest Collective) !!! – Watched some inspiring Virtual Reality : Let This Be A Warning by The Nest Collective (Kenya), The Other Dakar by Selly Raby Kane (Senegal), Hard World For Small Things by Janicza Bravo (USA), Nairobi Berries by Ng’endo Mukii Film and Art (Kenya) & Spirit Robot by Jonathan Dotse (Ghana), co-productions by Electric South !!! 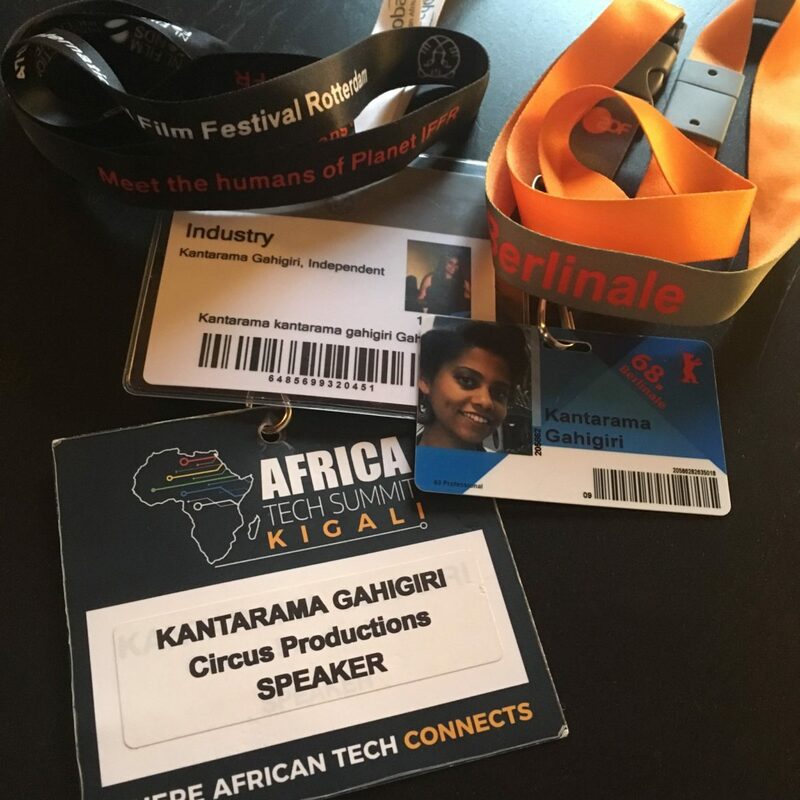 – Designed and moderated a STORYTELLING IN AFRICA: FUTURE TRENDS panel for Africa Tech Summit HQ in Kigali / Akoma Media with my talented friends : Regis Isheja, Cynthia Butare, Mbabazi Sharangabo & Munyakazi Deo !!! … now let’s SLEEP for a week, before it continues !! !